mwe3: Can you tell us where youre from originally and where you live now and what you like best about it? Being from Australia do you travel sometimes out of the continent? Can you tell us why it took so long to get an album from Whimsy? Is Heart And Soul your first album? Louey Hesterman: I was born in Carlton, a suburb of Melbourne, but spent my childhood on a dairy farm in Koyuga, near the Murray River Port of Echuca. I now live in the beautiful seaside town of Apollo Bay, 3 hours from Melbourne. Over the years Ive spent many days near the Murray River and always found much peace watching the steamships paddlewheel their way slowly up and down the river. Later on I lived in Mildura, also a town on the Murray, so I have had a lasting connection with the peace I found there as a child. Over the years I have traveled extensively away from Australia including a year in the Army in South Vietnam as a soldier. In the early 1980s I traveled around the world, including time in Europe and the United States. I have always been a gypsy and love travel. Following a divorce about 8 years ago, I became free to pursue my music more seriously for the first time in many years. Two friends had heard some of my songs and were determined to help me make a CD. I have always heard music in my head, and in my early teens, started to believe there was something seriously wrong with me! The melodies I heard even included full orchestration at times. Now looking back over the years, having written or composed over 400 songs and tunes, my satisfaction was in completing the creative process. I was always leaving it to a much older Louey to worry about actually recording the songs. Consequently, I am now that older Louey. 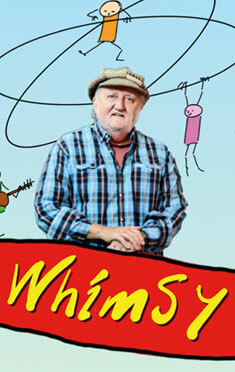 The name Whimsy was conjured by Melanie OShanassy, a friend who thought much of my music was whimsical. So the Whimsy band only started to exist as the songs for the album were chosen, usually between Melanie, Cyril Moran and myself. This was an arduous process for me over two and a half years, being almost unable to determine whether a song was suitable for my first album. Fortunately, Melanie and Cyril both had strong opinions and gradually a concept for the album appeared out of the songs chosen and we began the actual recording process. Yes, Heart and Soul is my first album. I have had my songs recorded and released by other artists over the years, and I have co-produced albums for other people, but this is my first. mwe3: Some of the tracks date back to the 1970s. Is the Heart And Soul album a chance to bring your musical history up to date so to speak? Whose decision was it to put the album together and have it released? You said it was also filmed? 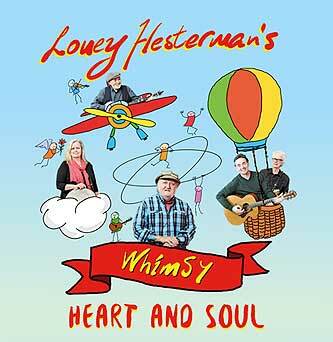 Louey Hesterman: Yes, the Heart And Soul album is a cross section of snapshot views of the songs I have written over the years since my late teens. Having agreed to produce this CD, many good things have occurred in parallel with the journey of putting it together. Many of my musical friends have always known me as a guitarist, but not many know that Im also a songwriter. Heart And Soul is my opportunity to now bare my soul and let everyone hear what has also been going on in my head over the years. The decision to put the album together was mainly my two friends Melanie OShanassy and Cyril Moran, who co-produced the album. Dave Walker from Greensouth Records became involved about a year ago, and deserves much of the credit for drawing the album together from a mishmash of material recorded in several studios around Victoria over a long period of time. A few performances of the band have been filmed on a semiprofessional basis, but we dont have a professional video at this stage. The CD has definitely given me a new chance and the encouragement to start writing again. mwe3: Does The Murray River Song tell your life story? How did you put the melody together and work out the songs vocal harmony with Cora Browne? The song is truly a masterpiece of well thought out music. Youre from that area where the Murray river is? I always wondered what it would be like living near a river. What can you tell us about the Murray River and what made you want to write a song about it? Louey Hesterman: As mentioned before The Murray River Song is a reflection of being born by the Murray in my heart. I wrote the lyrics and the melody about 20 years ago. Living in the Dandenong Ranges at that time, I missed the river and the peace and escape from the real world that it seemed to offer me. Cora Browne, another beautiful songstress and friend, was always the female voice I heard in my music. She was wonderful. We worked out the harmonies in Dave Walkers studio after Id recorded the lead vocal and guitars. In times of turmoil some part of my mind always returns to the river  its eternal peace and quiet flow. The Murray River is Australias longest river, very wide in places, running all the way between New South Wales and Victoria and through South Australia, finally emptying in the Southeastern part of the Indian Ocean. Aboriginal people have lived around the Murray for at least 40,000 years. For over a hundred years it was a major transport corridor for boat, barge and paddle steamer. Some paddle steamers still operate along the Murray as tourist attractions these days. It is a beautiful river. It occasionally floods, forming billabongs and giving life to many large Red Gum trees. In times of drought the river runs low, exposing huge sandy banks. Like the river, my hearts been high and my hearts been low. I wanted to capture the influence it has had on my life. mwe3: I was thinking about the Donovan connection in your music as you add in some Celtic imagery and even humor you can hear on Giants Are Too Tall. Did you write that as a humorous kind of track? Louey Hesterman: Giants Are Too Tall is a childrens song. It was originally written in the 1970s for Daryl Somers, a friend of mine at the time. Daryl had a morning TV program called Hey Hey Its Saturday, that he compered with a hand-held puppet called Ossie Ostrich. mwe3: Can you say something about how Whimsy came together as a band. I know Ben Rogers thanks to his excellent guitar work but I had not heard your music before. How did you assemble the band to make the album? Louey Hesterman: The Whimsy band began forming as the musicians required to play the music itself became evident. Initially Cyril Moran and I teamed up, and we wanted a female voice, and that was Cora Browne. 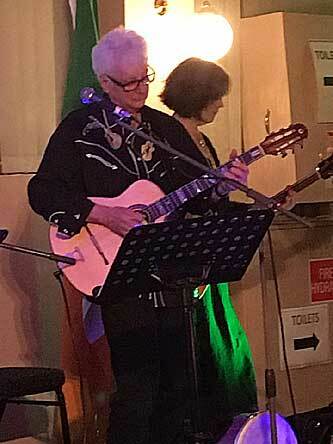 Cora and I worked together in a musical stage play about Banjo Paterson, the man who wrote Waltzing Matilda. Apart from her singing ability, Cora is a fine actress, and a delight to have on stage or in any studio. Some time elapsed, and during rehearsals we decided to invite Christy Cooney, a great traditional and contemporary Irish music balladeer. 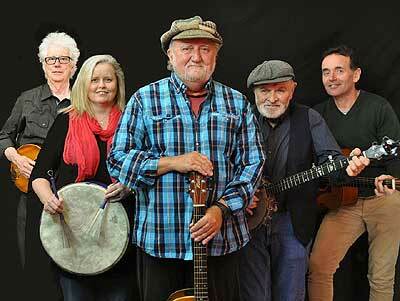 Christy had been the front man for The Cobbers, an Australian Bush Band that recorded and toured extensively. 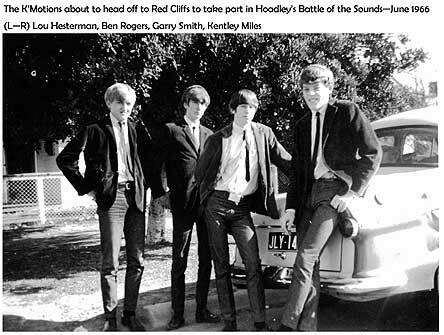 I met Ben Rogers in the 1960s, when as a 17 year old I worked in Mildura, on the Murray River, and joined a teenage rock band called The KMotions, in which Ben played lead guitar. We were very successful on a local scale but things fell apart when I was drafted for National Service in 1968. A couple of years ago Melanie suggested we hold an event to mix all of my old friends with my more recent new friends. She hired a theatre and invitations went out. Ben Rogers and I rekindled our friendship at this event, and I asked Ben if he was interested in recording a tune for me. I had written a tune called Waves Of Apollo that needed some fine playing if it were to be recorded. Ben was keen to be involved, and within a few weeks we had a recorded version of the tune. After consulting other band members I invited Ben to join Whimsy, and that completed the depth of talent we were seeking to finish off the album. Incidentally, the primary requisite we all needed was to be able to play, travel and enjoy each others company in the process  in my opinion that is Whimsys biggest asset  when we travel we all have lots of fun. With the addition of Ben, Whimsy could now play and record the rest of the CD. mwe3: How did the album come together, as I see some of the tracks, like the instrumental Looking For Ireland was recorded in 2011. Tell us a little about that track. I like albums that combine both vocal and some instrumentals too. Why are instrumentals so overlooked in pop music? Louey Hesterman: For more than a year we had been waiting for a particular studio to become available. This resulted in much frustration, as for me to travel to Melbourne involves a 3 hour drive each way. At times I was going to shelve the idea of the CD as becoming too difficult, not knowing if we were ever going to finish the project. With Ben Rogers having his own studio in Melbourne and having totally finished one track in just a few weeks, I decided to try using different studios. We used Bens Thurston Studios for Heart And Soul, both the instrumental and the vocal versions. In the meantime I followed up on a couple of songs Id recorded in the 1970s. 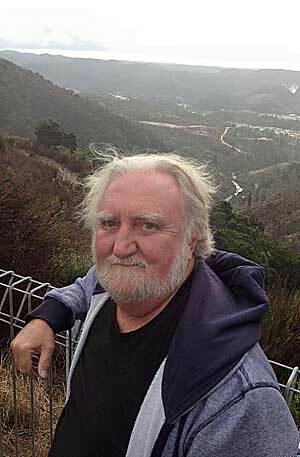 I had recorded Agent Orange and Home in Bruce Adderlys studios in West Melbourne, and I rang Bruce to ask if he still had the master tapes. Fortunately he did, and was enthusiastic about helping me with the CD. 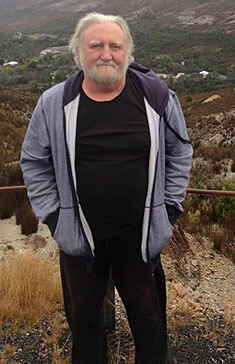 He had moved to Shepparton in Northern Victoria, where we subsequently recorded Adventure Before Dementia. Slowly, we were gathering momentum, but from different places and times, and now with different studios. As a Vietnam Veteran I definitely wanted the two tracks on the CD, even though some thought Agent Orange was hard-hitting. In about 1998 I visited Ireland and fell in love with the country and its people. I asked Joseph Bourke, a classical pianist, if he could arrange a string quartet for me, to produce an instrumental version of my composition Looking For Ireland. As it turned out, we dropped the string quartet idea for a soloist on flute. He was magnificent. We still needed someone to pull together what was now a disparate collection of songs, tunes and artwork. As indicated on the sleeve, the front cover artwork was designed by Nikki Scarlett, who is the bass player with Ben Rogers Instrumental Asylum and the Ben Rogers Trio. We had recorded the basics of South Sea Islands, Coffees In The Pot and Murray River Song at Dave Walkers Frankston studio in one long grueling session, as I remember, but much was still needed to collate tracks, and finalize mixing and cover design and layout. I was amazed at how much is involved in producing a CD! Dave took it on, coordinating everyone in the process. We had set a release date for May 2017 and Dave set to work with Cyril and myself, determined to make it happen. I prefer to listen to a mix of tunes and songs. 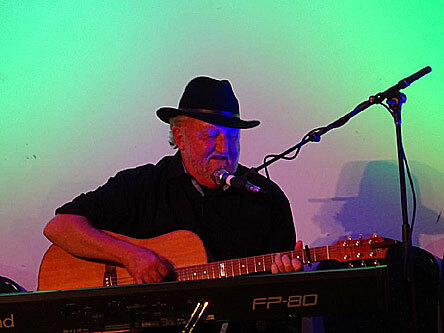 Apart from variety, I have written many tunes for piano, guitar or orchestra, which have no words or lyrics. Many times, the music is more important to me than the lyrics. Most young writers are probably lyric or topic based  maybe concentrating on having a hit song; people outside the pop genre may be more inclined to write instrumentals? mwe3: How influenced were you by tropical South Seas music? I noticed South Sea Islands has some great imagery and is that your guitar work on it? Its another great track featuring you and Cora. What is your favorite island paradise? Does Australia have tropical parts to it? How far from Tahiti? I love Hawaiian music  peaceful. Having already been to Asia and Fiji, Hawaii was similarly beautiful, with tropical sands, coconut trees, etc. I wrote South Sea Islands while I was actually in Hawaii, using basic chords on a ukulele I bought in Hawaii. From memory, I was sitting under a coconut tree with pen, paper and uke. On the recording of this track I played guitars and bass while Cyril played ukulele. Cora blended lovely harmonies, making it a very happy song. My favorite island paradise so far is the Aire Islands, north east of Bali. There are several islands, all in idyllic situation Pure White Sands and Emerald Sea. I stayed on one without motor cars  only horse and donkey led carts. The diving was magnificent. Australia has many islands in the Northern tropical zones. Apart from the Barrier Reef islands, which are fabulous, North of Darwin there are more islands than could be explored in one lifetime. More than half of Australia is either semi- or tropical. Melbourne is over 4,000 miles from Tahiti. I havent been to Tahiti but would love to do so. mwe3: Bens contribution to the Whimsy album is rather considerable. Even though I always thought of him as a kind of Aussie Hank Marvin, I was marveling at Bens playing on the instrumental Heart And Soul and hes got some nice slide on there. How did you meet Ben? Can you compare the instrumental version with the vocal version of Heart And Soul? Its an excellent song, both versions, and the piano is cool too. Which one is the newer one? 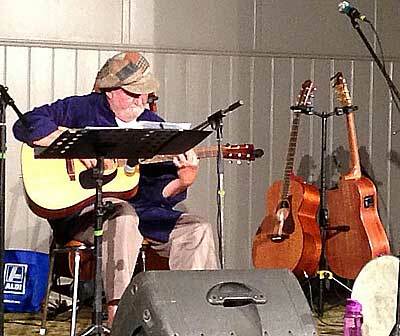 Louey Hesterman: Ben is a marvelous musician and songwriter, and a close personal friend. As mentioned, I met Ben in Mildura when I was 17 years old. 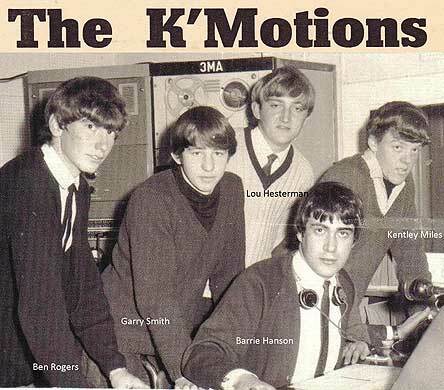 Our band called The KMotions won a district Battle of the Sounds' competition, and we had many great times together as teenagers. We reconnected as friends a couple of years ago at the Event which brought many of my old mates together to meet more recent friends. 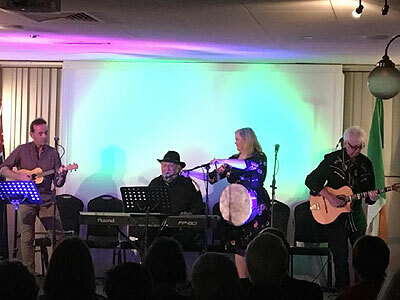 All the future members of Whimsy were there, even singing together a chorus of my Prayer For Eireann, which later, miraculously, Dave Walker blended into the final chorus on the CD. I wrote Heart And Soul purely as an instrumental, on guitar. As it developed, I would play the tune instrumentally during breaks while I was performing with Cora, on The Man They Call The Banjo stage plays. Cora seemed to love the tune, and frequently hummed along. I promised her that if I put lyrics to the tune, I would get her to sing the song. How it became a song: Years after the tune was written, I went to Darwin and there I penned most of the lyrics. Cora, Cyril and Ben loved the lyrics, but they needed to be work-shopped to make them a bit easier to sing and to make more sense to the listener. They thought the song had become very significant as a link to my two daughters, thus it became the theme song for the album. mwe3: Is Coffee In The Pot a kind of wake up song? (no pun intended) Or is it more of a post break up song? Your guitar work is excellent on that track. Louey Hesterman: Coffee plays a big part in my life  cant seem to get going without at least two cups. Ive written a few songs about coffee/life over the years. Ive imagined a real cad who has cheated on his girlfriend, and now wants another chance at the relationship. Again, it basically started as a blues guitar tune, the words followed as the tune progressed to a chorus. I still hear the song with brass, but Justin Brady played a wonderful series of harmonica tracks. mwe3: Can you say something about Waves Of Apollo? Its a great track and it really adds some good old family instro-tainment to an already excellent batch of songs. This stands out as one of Bens best tracks sound-wise. Apollo as in the greek god? Louey Hesterman: I live in Apollo Bay, a beautiful town about 3 hours West of Melbourne. I originally wrote the tune, very slowly, while I was attempting to learn mandolin. Whilst on tour with another band I play in with Cyril, we started playing the tune between performances. Cyril sped the tune up, and Ben gave it steroids! They now play the tune together in concert, to enthusiastic audience applause. I usually stay out of this master class of playing! Waves of Apollo takes no prisoners at the pace Ben and Cyril play it! Ben recorded the album version with his Instrumental Asylum band. Apollo is the Greek God of the Sun. mwe3: Is Prayer For Eireann a tribute to Ireland? Is that the Celtic connection in the Whimsy music? Its also a showcase of Cyril Moran. It has a slight Mike Oldfield effect which is very nice. Louey Hesterman: It is definitely my prayer for peace in Ireland. My hope is that these beautiful people can live together, North and South, without the bloodshed of the 1970s. I visited both the South and Northern Ireland. The South seemed full of laughter and fun, while the North seemed more reserved and stoic. It surprised me to see double decker buses, similar to those I saw in London, in the North. A bit like two different countries. Cyril, Christy and Cora were all born in Ireland, and they bring wonderful sparkle and Irish culture to Whimsy. Cyril sings like a lark, and his playing and song writing is wonderful too. As co-producer, Cyril has ears like an elephant. My connection with Irish heritage, Irish music, is probably due to Viking genes, as Hesterman is in the Book of Vikings at Giants Causeway in Norther Ireland? Cyril sings magnificently, I am very proud an Irishman sang that on the CD. mwe3: In the CD artwork, you mention the time served in the Vietnam war. How did that come about? I remember we were so scared of going to Nam. In early 1972, while in high school I got a draft notice to go and register which I did. I attended some big antiwar rallies but the damage was done. It must have been quite an ordeal for you. I didnt know Australia also fought in it. Your song Agent Orange puts it all into perspective. Did you come into contact with the chemical agent orange? Whose idea was it use those horrible poisons in a war? Louey Hesterman: In 1968, after registering in 1967, I was called up for National Service. Living in Mildura at the time, this was a life-changing event for me. Although the call up was only for two years, many things happened that probably formed me as a person. I spent nearly 13 months in South Vietnam, seeing and doing many things it has taken me many years to forget. We patrolled up and down many rivers, were attached to American Forces at times, and during that period, a lot of defoliant was sprayed over us on the rivers. At the time we didnt know what the spray was, and it burned our skin if we didnt have our shirts on. Later we learned it was called Agent Orange. I had rashes for many years, untreatable by doctors. Many things happen in war, I suppose thats why many of my songs yearn for peace. The American forces used the defoliant in a desperate attempt to defoliate both sides of the rivers, to make it more difficult for Viet Cong to attack vessels on the water. Agent Orange was my attempt to pain the graphics of what happened to us, and in particular how governments and society at large abandoned us when we came home. A very tough year for everybody. I read you actually wrote the song in Vietnam in 1970? Geez, that was a tough year for everyone. 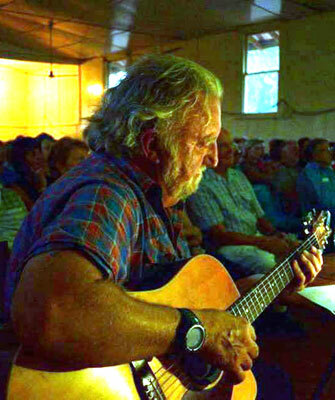 Louey Hesterman: True, I wrote this song in 1970, in South Vietnam by the Mekong River. I wanted to come home, I had been away nearly a year. So glad you like this track Robert  me too, ego aside!. Im amazed that the song still stands up, after 40 years, to be still very meaningful to me. I have tried to find the names of the other musicians on this track, the original studio notes have been lost, but Steve Groves and I arranged it, and he plays a beautiful measured solo. The drummer on this track is fabulous  I love listening to his brush work. It is a difficult song to play properly on drums. mwe3: Adventure Before Dementia closes the Heart And Soul album with a bang so to speak. Is that a kind of Cockney sing-a-long? Good to close an album with a funny kid of track. Was that the last song your wrote for the album? 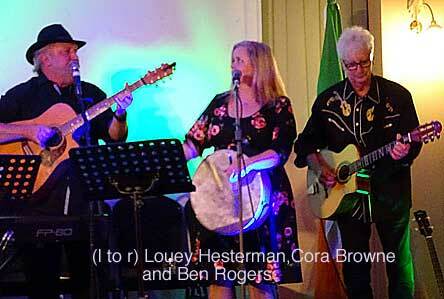 Louey Hesterman: Adventure Before Dementia was recorded in Bruce Adderlys new studio in Shepparton, Victoria. In the 1990s, here in Australia, a few X, Y and Z Gen people were waiting for their Baby Boomer parents to fall off the perch to get their hand on their inheritances. This is my response, imagining becoming a Grey Nomad, traveling Australia by caravan. Although I wrote it 20 years ago, it is probably still relevant to my generation. As a joke, I sang it with a broad Aussie accent. mwe3: Be great if more people inside and outside Australia could tune in to what youre doing on this amazing Whimsy album. Its so varied. Lets not forget the great Australian artists and your music. Tell us about other plans and things going on for Whimsy this year and next?